When Bovie® Medical made the decision to radically reshape its business in order to leverage the runaway success of its Renuvion® cosmetic technology, the transformation needed to be inspiring, compelling…and fast. By December of 2018, Bovie had already chosen a new name: Apyx™ Medical. Our challenge was to bring that name to life, with a visual identity, voice and story that would resonate with all audiences and rally employees going forward. There wasn’t much time to do it. Apyx was scheduled to make its debut on the Nasdaq, ringing the opening bell on the Stock Exchange on January 3. 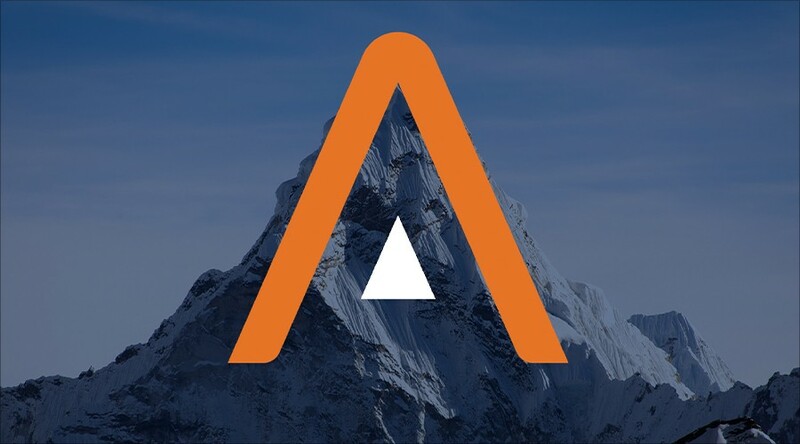 The name Apyx suggests an ascent, a peak or summit—and the letter A looks like a mountain. That inspired the logo design, which uses a delta shape signifying “change” to anchor the A. After reviewing a range of color options, the Apyx team chose the most disruptive one—a bright, assertive orange, that shows they’re serious about shaking things up. Clearly there would be a lot of questions—from customers, shareholders, and above all, employees—about the changes in the business. That made messaging a key part of the launch. It was crucial that everyone was aligned and excited about the Apyx Medical story. We worked with Apyx leadership to shape that story and develop a message guide, which included conversation components such as vision, core values, elevator pitches and key talking points for current customers, prospects and employees. To bring the salesforce on board, we created a brief presentation that showed the thinking behind the new brand. 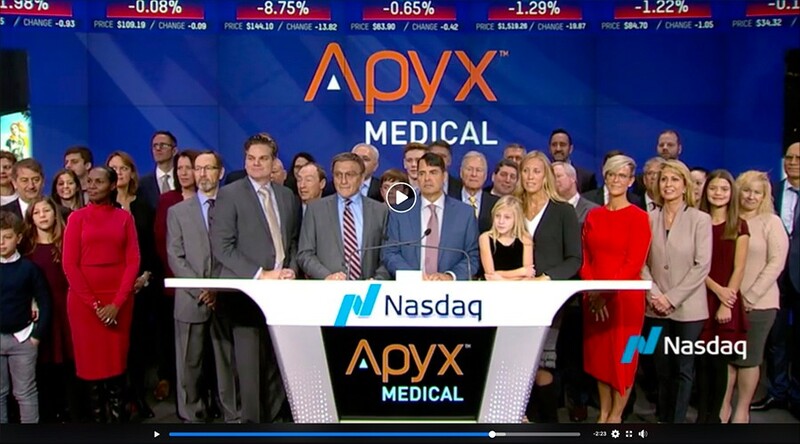 On January 3, Apyx Medical had its coming-out party on the Nasdaq, the logo made its first public appearance larger than life, in Times Square, and our messaging is already shaping conversations in the field. We’re thrilled to be working with this incredibly dynamic company, as they stride forward on their journey to the top.